Aadarsh Balakrishna, is an Indian actor featured in Telugu languages movies. Made his debut in 2007 with Happy days and active in the industry for past 10 years. He is one among the 14 contestant of Bigg Boss Telugu season 1, which is host by Jr. NTR. 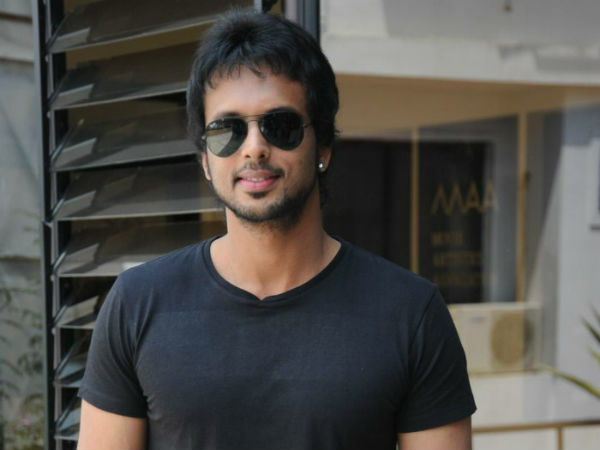 Check out below for Actor Aadarsh Balakrishna Wife, Family, Wiki, Caste, Biography, Marriage, Big Boss, Height, Weight and more. Born on 10 February 1984 in Bangalore, Karnataka. His parents Mr. Balakrishna (Father) is a businessman and Mrs. Uma (Mother) is a homemaker. He has a youngest sister, Apoorva. He brought up in the same city and completed his schooling in Sophia High School, Bangalore until Standard 3. Later His family moved to Hydrabad, he continued his school education in Bharatiya Vidya Bhavan Public School and St. Andrews High School. After completing his schooling, he joined Nizam College for his graduation in majoring in Commerce. He was passinate about cricket and represented his college team, club in various platforms. His only aim is to became professional cricketer and to represent team india. Bollywood director Nagesh Kukunoor has spotted him while practising and asked him to play a role for his movie Iqbal as a cricketer. Soon later he made his first telugu debut with Happy Days, where he played an important role as college senior. The film whihc garnered him good fame and oppurtunities. Adarsh within a short span worked with directors like Nagesh Kukunoor, Sekhar Kammula, Gopichand Mallineni and Ram Gopal Varma among others. He was married to Gulnar Virk, a Delhi based entrepreneur. The couple revealed some interesting details about their relationship in a conversation with the newspaper where they said they’d met only 5 times so far abd the 6th time they’d be getting married. He represented Telugu Warriors team for 6 seasons in Celebrity Cricket League. The cricket league which is played among Indian film industry including Bollywood, Tamil, Kannada and Malayalam. He is one among the contestant of Bigg Boss Telugu season 1, which is telecast in Star Maa. The new game show which is host by Jt. NTR. Adarsh seems to be one of the favourite contestant to win the title. 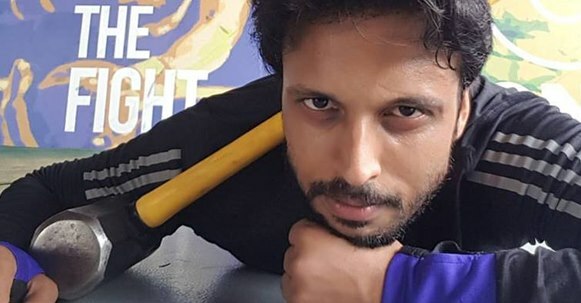 Here completing updates about Actor Aadarsh Balakrishna (Actor) Wiki, Biography, Wife, Height, Movies, Family, Bigg Boss Details. Check out below for more celebrity biography details and latest news update in scooptimes.com.